The United Arab Emirates may not be a big country, but there’s plenty to be seen in between its desert dunes and beautiful shores. The best part is that everything is just a short drive away. So whether one is looking to indulge in some water adventures or simply relax in a luxurious resort in the middle of the desert, all that’s needed is a car, gas and some snacks for the road. The journey just might be better than the destination. For those who enjoy hiking, trekking and camping, there’s no place in the UAE better than Jebel Al Jais. Located right in the corner in between the UAE and Oman, Jebel Al Jais is the highest point at the country, at over 1,800 meters. Perhaps one of the things that makes this spot so popular is the shocking temperature difference compared to the rest of the country, which is known for being extremely hot. Here, temperatures can get as low as -5 degrees Celsius, so it’s important to pack accordingly. Fujairah is one of the seven Emirates of the UAE, and the only one on the east coast. Located in between gorgeous beaches and mountains, this is definitely a must-see on a road trip from Dubai or Abu Dhabi. 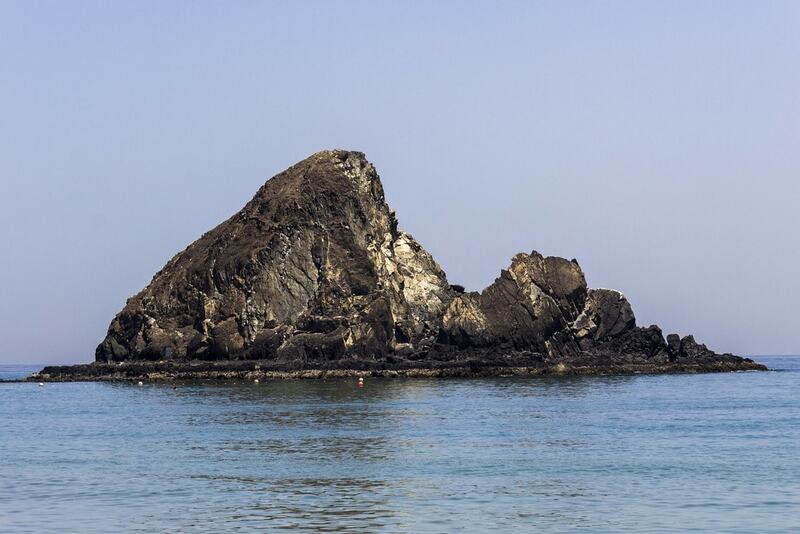 One of the main attractions in Fujairah is Snoopy Island, where you can snorkel. Ras Al Khaimah is soon to be the UAE’s main destination for all adrenaline lovers. This is because the longest zip line in the world will be located in this Emirate. However, Ras Al Khaimah was popular among residents and tourists much before the zip line was announced. The city makes for the perfect weekend getaway, with a vast number of beach resorts as well as exciting activities, including Ghost Town, an abandoned village that’s believed to be haunted. Hatta is only a short drive from Dubai, a little over an hour, and offers an entirely different environment from the city, making this area ideal for a getaway. 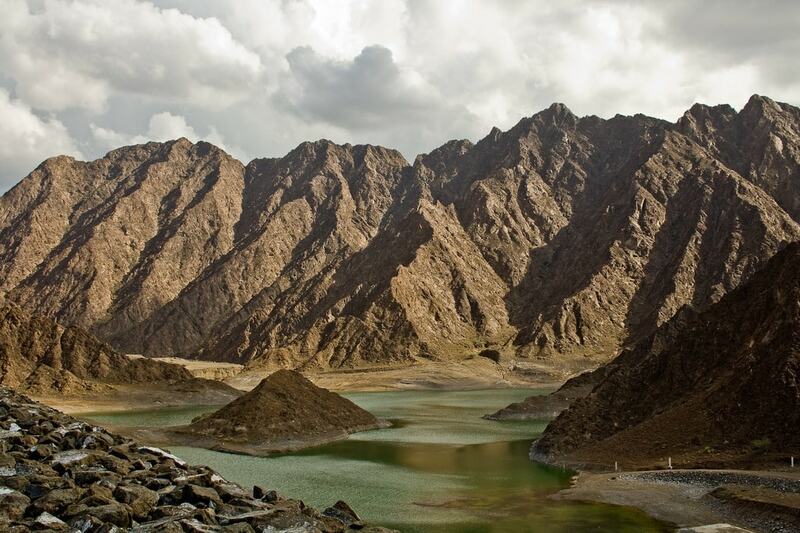 The most popular things in Hatta are its massive rocky mountains and the Hatta Dam. The natural crystal-clear pool of water is a great place to go kayaking and stand-up paddle boarding. Next to the Hatta Dam is the Hatta Heritage Village, one of the most important historical sites in the UAE. The UAE is best known for its riches and luxury, but for those looking for a real adventure, the Hajar Mountains provide a contrast to the city and the hike of a lifetime! They’re located in both the UAE and Oman, meaning that hikers need their passports to cross the border. The Hajar Mountains are the ideal destination for rock climbing and trekking. Visitors are also welcome to camp. The UAE has no shortage of luxurious resorts a short drive from the city, for those travelers who aren’t into camping. Admire the desert dunes and feel completely removed from the cities. Some of the most renowned are Al Maha and Bab Al Shams. Both also offer activities that are meant to honor Emirati culture as well as entertain, such as riding camels. This is undoubtedly the ultimate road trip in the UAE. Getting to Sir Bani Yas Island doesn’t only involve driving, but also taking a boat or a plane from Abu Dhabi to the island. Sir Bani Yas Island only has one hotel, the Desert Islands Resort & Spa by Anantara, so comfort and luxury is guaranteed. Additionally, the island is home to the Arabian Wildlife Park, with a variety of wild animals residing there, including giraffes and cheetahs!